Neither a borrower or lender be…. Now libraries, much more so that archives, have a long tradition of lending, at least in the United States. The history of the Public, or Free, Library in the United States is one of noble purposes as individuals like Franklin and others saw the need for an educated citizenry and free and easy access to information. Sometimes that access can be thwarted by its own openness. While recently verifying the contents of a long-held collection of papers from a long-deceased faculty member (S. Richey Kamm) as the staff of the Archives & Special Collections finish development of our archival management system Archon, an interesting find was made. In a folder titled “Association of American Universities Conference Reports, 1900-1902” were two volumes of this potentially uninteresting serial. For some unknown reason piquing interest, these volumes, both, were found to have a call number written on the front covers and a notation inside its back covers, “mending.” Querying the library catalog it was clear that these two volumes were the missing start to a long series of publications. This long-borrowed couplet had been located in a faculty’s files for over fifty years and sitting in archival storage for over thirty of those years. Their brief foray into a faculty office soon became a multi-decade trek back to a more proper home. One doesn’t wish to perpetuate old (and inaccurate?) stereotypes of absent-minded professors or dusty, little-consulted archives, but it does give an archivist or a librarian pause about all this “free and easy access” business…. At least for a moment. All will be put at ease to know that the renegade volumes have made their way back to their proper home with its other serial siblings. John Payson Williston, honored on Wheaton’s campus in brick and mortar through the “Women’s Building” built in 1895 and renamed Williston Hall in 1933, was a friend of Jonathan Blanchard. An inventor of indelible ink and a business man in Northampton, Massachusetts, Williston was also an abolitionist who used his financial resources and reputation to help those formerly enslaved to find freedom and better lives. Williston was like so many other evangelical Congregationalists of his time as he was involved in a variety of social and spiritual reform activities. He was not simply religious nor simply reformist, but he saw the holistic impact of the Gospel of Christ in addressing spiritual and physical needs. For Williston the Gospel was not simply “pie in the sky” or “a chicken in every pot” but a mysterious mixture of the here and now and the hereafter. Williston was involved in the Northampton Association of Education and Industry and served as an agent of the American Tract Society in western Massachusetts. He fought slavery and was a member of the Committee for West Indian Missions. Williston also had direct personal involvement in his helping others. He took on the guardianship of William Howard Day, the son of abolitionist Eliza Day and her husband, John. Williston helped him gain skills as a printer in Northampton and then sent him to Oberlin College, from which he graduated in 1847 — the only black graduate in a class of fifty. Day later was elected president of the National Board of Commissioners of the Colored People and helped start Livingstone College in Salisbury, North Carolina, a historically black college affiliated with the African Methodist Episcopal Zion Church. Williston was a friend to both Knox and Wheaton College. After being presented with the needs of the school by George Washington Gale, Williston’s first gift to Knox was a set of classical books for use by the students. After Blanchard’s election as president of the school his interest in helping fund Knox grew. Williston pulled back his giving as Knox became more secure and landed. Williston was a regular benefactor to Wheaton College. When James Oliver Buswell became president of Wheaton College his also served as the J. P. Williston Professor of Philosophy and Bible. Williston’s importance in western Massachusetts can be seen not far from Northampton as MountHolyoke College named their observatory after Williston. It was built in 1880 to be ready for the rare transit of Venus in 1882. It is the oldest academic building on their campus. Williston’s brother, Samuel, was instrumental in the founding of Williston Seminary, now Williston Northampton School. Samuel was also a friend and donor to Blanchard’s causes. John Payson Williston was a business man, reformer, abolitionist, benefactor and compassionate Christian. He took personal and professional risks to help those in need. He made an indelible impression on numerous lives and institutions. History’s only records of this grand expedition are the personal letters that Jonathan and Charles wrote home from the frontier. Due to the economic hardships of the time, the promise of gold seemed to add an alluring element to their journey. 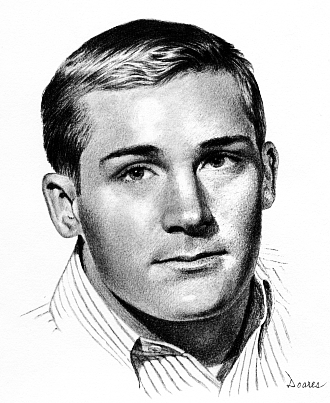 As an idealistic teenager, young Charlie wrote that he was becoming enamored with pioneer life and proclaimed, “I think it hardly possible to think of going back to Illinois for the remainder of the years I am allotted here on earth.” Obviously, the events of Charles’ life unfolded much differently and he went on to attend Wheaton College and later serve as its second president for the remainder of his life. Below are excerpts from letters written during their journeys out west. Erwin Paul (Zeke) Rudoph II was a relaxed, vibrant young man of twenty, a student of English literature who also adored sports, particularly baseball. He possessed many friends and much promise. In 1967, after experiencing persistent vision impairment, fatigue and unsteady balance, he consulted his doctor. Enduring one exam after another, Zeke at last received the shocking prognosis. He had developed multiple sclerosis, an incurable disease. In this case, terminal. A fiercely competitive athlete, he now faced opposition far more threatening than any he had ever encountered on the field. But Zeke held a steady course as he tackled his relentless stalker, first with a measure of frustration and apprehension, then with thanksgiving and confidence, and finally with tranquility, resting faithfully in the triumphant Savior “who hath abolished death” (II Tim 1:10). As Zeke’s stamina steadily diminished, his spiritual strength increased, allowing him to offer comfort to his comforters. With each day moving him closer to eternity, he inspired his family and Wheaton College classmates to deepen their communion with Christ, to assess values and align priorities for the uncertain path ahead. Surrounded by love and abiding peace, he died quietly at age 21 in Central DuPage Hospital. His pastor, Allyn Sloat of Wheaton Bible Church, performed the funeral. Chaplain Evan Welsh, whose brief visits and wise counsels to the dying boy were like “gentle zephyrs from heaven,” read scripture and commented on the brevity of other sanctified lives: Borden of Yale at 24; Robert Murray M’Cheyne at 29; and Christ himself at 33. The story of Zeke’s brief life and ultimate victory over death is eloquently chronicled by his father, Dr. Erwin Rudolph, in Good-by, My Son (1971). Rudolph, former Professor of English and Chairman of the Division of Languages and Literature at Wheaton College, offers hard-won observations on the nature of affliction. “We do not pretend to understand why God’s time-table differs so markedly from our own. But it was ours which was out of adjustment, not His…I strongly affirm that belief in Divine Providence affords the Christian an undergirding he can ill afford to lose. I also discover that God may personally allow suffering to come upon us for reasons which please Him. When He does, we ought not to demur, for God knows what is best for us.” Rudolph approached his son’s illness as a unique opportunity to serve rather than a hindrance. John Piper, a student of Erwin Rudolph’s, was struck by the quote, “Zeke called death sweet names.” Underlining that phrase, Piper determined to live life seriously so that when death came upon him he could echo those words, knowing that he had lived well unto Christ. One of Wheaton’s earliest trustees was Salmon P. Chase. During his career in public service Chase was a senator from the state of Ohio, had served as its governor, was Secretary of the Treasury (he appears on the $10,000 bill), and finally served as Chief Justice of the Supreme Court. It is likely that Jonathan Blanchard and Chase first met when Blanchard pastored in Cincinnati, Ohio, and was involved in abolitionist activities and the Liberty Party. Interestingly enough, Salmon P. Chase was the great-great-uncle of J. Richard Chase, Wheaton’s sixth president and the great-great-great-uncle of current faculty-member Ken Chase. Running alongside the east side of Blanchard Hall to the south is Chase Street. I think some weight can be placed behind the idea of Chase St. being named for Salmon P. Chase. In the 1874 Map of Wheaton (reprinted by the Dupage Co. Historical Soc. in 1975) several streets are shown in and around Chase St. The area, known as College Addition, was platted with North/South streets as Sumner (likely for Radical Republican Charles Sumner), Chase, Lincoln, Grant and President (likely for President Blanchard as this street went to his house). The East/West streets platted were Nebraska, Michigan, Ohio, Iowa, Illinois. Powell’s family moved to Wheaton, Illinois in 1852. Joseph Powell and his wife had three sons and three daughters when they moved to Wheaton; they also had two married daughters. Joseph Powell was a tailor and a lay preacher in the Wesleyan Methodist Church. In Wheaton they purchased a five-acre tract near the Illinois Institute, a Wesleyan Methodist school, since Powell had been elected a trustee of the new Institute. Powell had also purchased a forty-acre tract, from Jabez Dodge, in an area more distant from the school. By the standards of the day, the Powells were by no means poor. The house on the forty-acre parcel was moved to the five-acre plot nearer to the Institute, utilizing rollers and six oxen. John Wesley would return often to Wheaton, until his parents’ deaths in 1870. The Joseph Powell family eventually held title to 11 separate parcels in the Wheaton area. The Illinois Institute didn’t offer the courses that stimulated John the most, logic and mathematics. He earnestly desired a college degree, preferably from Oberlin. 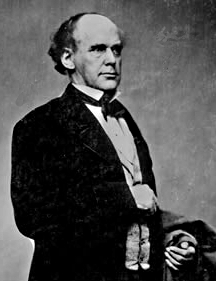 His education was not directed towards the ministry, as his father would have preferred, and in search of a degree, Powell enrolled at Illinois College in Jacksonville in 1855. 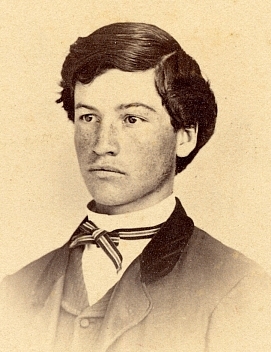 For his sophomore year, Powell made it to Oberlin, but returned to Illinois the following year, 1857, and enrolled as a sophomore at the Illinois Institute and actively participated in the Beltionian Literary Society. It seems that finances were always a point of difficulty for Powell. His father had promised to pay for his education if it was for the ministry, but Powell turned to teaching to earn money for school. He had held a teaching post in Macon County, Illinois before his enrollment at Illinois College. 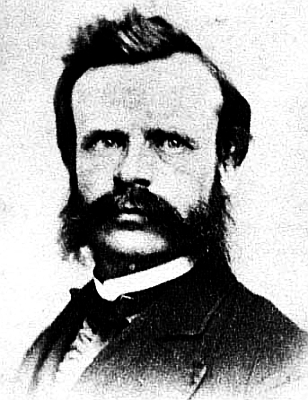 John Wesley Powell never received the degree that he sought so earnestly. 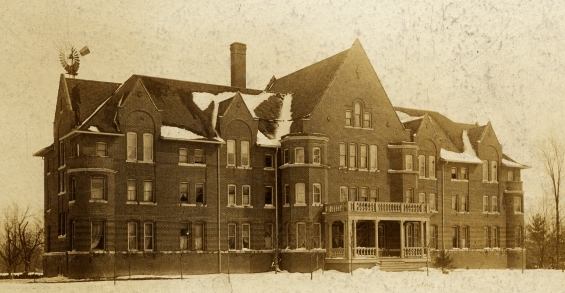 Financial difficulty, his own and that of the Illinois Institute, prohibited this luxury. Also, the late 1850s a severe depression and economic panics to the nation. After his failed attempts at receiving a college degree Powell began taking field trips. On one such trip to Michigan, Powell met his future wife Emma Powell, a cousin of his. Powell would also take part in the Civil War, rising from private to lieutenant quite quickly. During free time Powell would scour the surrounding area for geological samples and other items of interest, most of which made their way to the Powell home in Wheaton. However, his service to his country cost him an arm in battle. Powell was honorably discharged in January, 1865 and took a position as professor of geology at Illinois Wesleyan. The next year he organized a trip to the Rocky Mountains and was immediately captivated by them and would return often. It was his interest in the west that would place him firmly in America’s history. According to the Oxford English Dictionary, Hazing is “a species of brutal horseplay practiced on freshmen at some American Colleges.” For nearly thirty years from the Pre-WWII era until the 1960’s, Wheaton College was no exception to this tradition. The rivalry between the incoming freshman and sophomore classes arose from parties thrown in the 1920’s to actually honor the freshman by the sophomores. In 1933 the Student Council approved “organized torture for the incoming classes.” The sophomore class would elect people to the “sophomore courts” which had the authority to summon freshman who were not following the rules. Punishment for failing to obey the regulations was originally twenty swats with a bare hand. However, as time went on, these punishments became less severe. Any freshman who did not participate in the system lost their privilege to be involved with class activities. 1. Dinks must be worn at all times except on Sunday and Friday evenings after 6:30 p.m.
2. Badges sold by the sophomore class must be worn at all times except Sunday and Friday evenings. 3. The following walks must not be used by freshman: between Williston and the Gym; between Williston and Blanchard; between Blanchard and the Gym; and the back entrance to the Stupe. 4. Keep off all grass on the entire campus. 5. At command “ATTENTION” given by a sophomore, the response is to simultaneously button with one hand and salute with the other and click the heels. 6. At command “BLITZKRIEG,” a white handkerchief knotted at each end, must be thrown in the air and caught on the head. 7. On Wednesdays, carry books in wastepaper basket. Boys will also carry whisk brooms and cloths to perform valet services for any upper classmen. 8. On Thursdays, both boys and girls must wear all clothes backwards, including dress shirts worn by boys. Walk backwards on campus. Girls’ hair must be in pigtails. 9. On Fridays, girls must wear one dress shoe with sock and one saddle shoe with stocking. Boys must wear clothes inside out, with one pant leg rolled to the knee. 10. 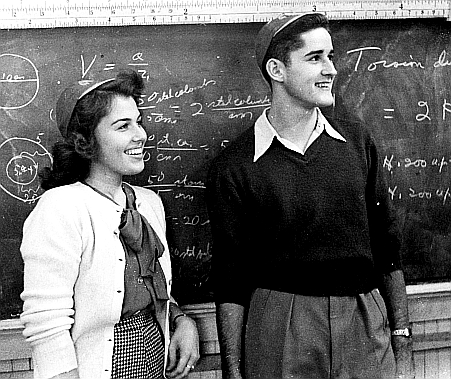 On Saturdays, girls wear hair in curlers and war dresses and boys wear bow ties with crew neck shirts. On Saturday, February 28 2009, at 90 years of age, the life-narrative of noted radio personality Paul Harvey came to a end. Born and raised in Tulsa, Oklahoma, Mr. Harvey began his radio career while still in high school in 1933 in Tulsa, Oklahoma at KVOO-AM. In June 1944 Harvey moved to Chicago and began broadcasting from the ABC affiliate WENR-AM. He quickly became the most listened-to newscaster in Chicago. In 1951 his “News and Comment” show was taken nationally. Harvey delivered the 1961 commencement address, titled “All men are not created equal.” He was inducted into the National Radio Hall of Fame in 1990. Joe Cosgrove (’54) had many interactions throughout his career in radio and public relations. 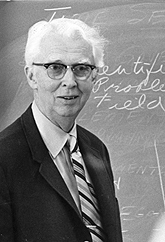 Having been first “introduced” to Harvey when he first came to college, Cosgrove valued Harvey’s reputation and skill. Cosgrove often served as a “stringer” for Harvey sending along news stories that he though might interest Harvey. He recounted, recently, that he “will never forget the day [he] was in the car with the head of an Orange County advertising agency headed toward a luncheon meeting in the city with one of her major accounts. The car radio was tuned to KABC; and, when Paul Harvey opened his daily 15-minute midday newscast with ‘Joe Cosgrove of Irvine, California reports that ….’ My associate took a double-take and said, ‘You know Paul Harvey? '” It immediately established his credibility with his new client.